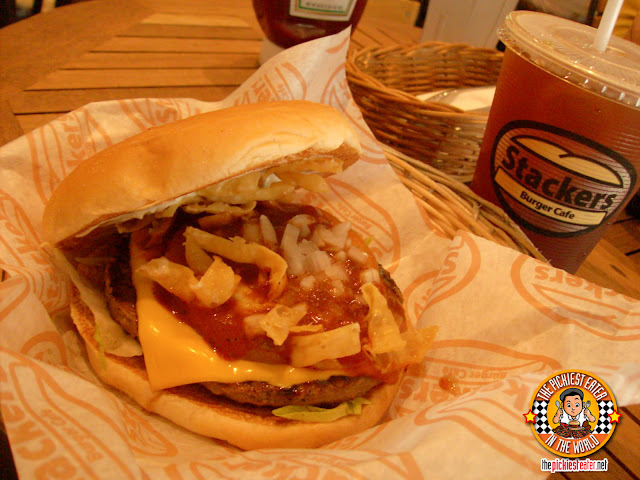 My search for the country's ultimate burger led me to Stacker's Burger Cafe in Eastwood. It's a nice cozy place that claims to serve 100% Pure Aussie beef patties on their burgers. Having a 24 hour "Burger cafe" is a good idea, even though i could never imagine coffee and burgers ever going together. As I was looking through the menu and trying to decide what burger and sauce would mix well together, Rina lovingly reminded me that I had told her I was on a diet, and no matter what I'd say or do, I wasn't allowed to break it. Of course, she reminded me this, right after we had sat down. As you can imagine, my mood instantly changed. The menu, in all honesty isn't all that creative. 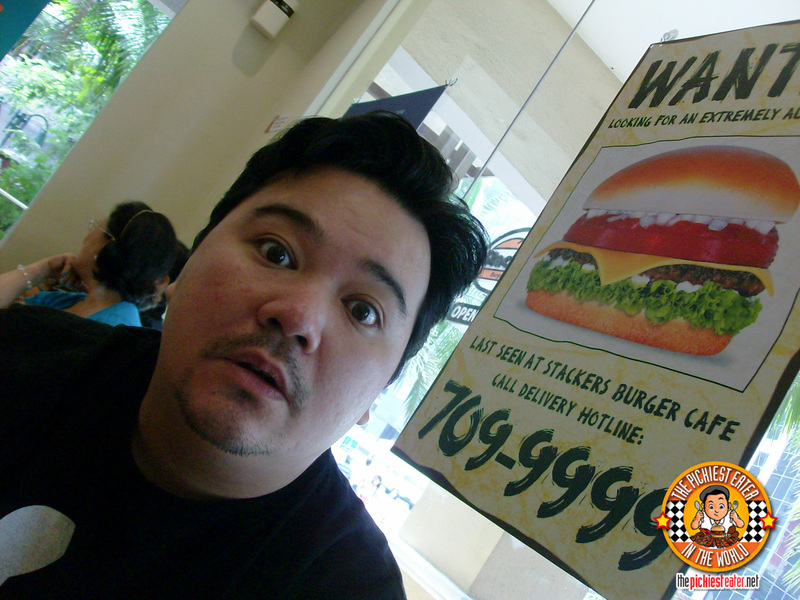 What it does though, it attempts to wow you with the sheer size of the burgers available. 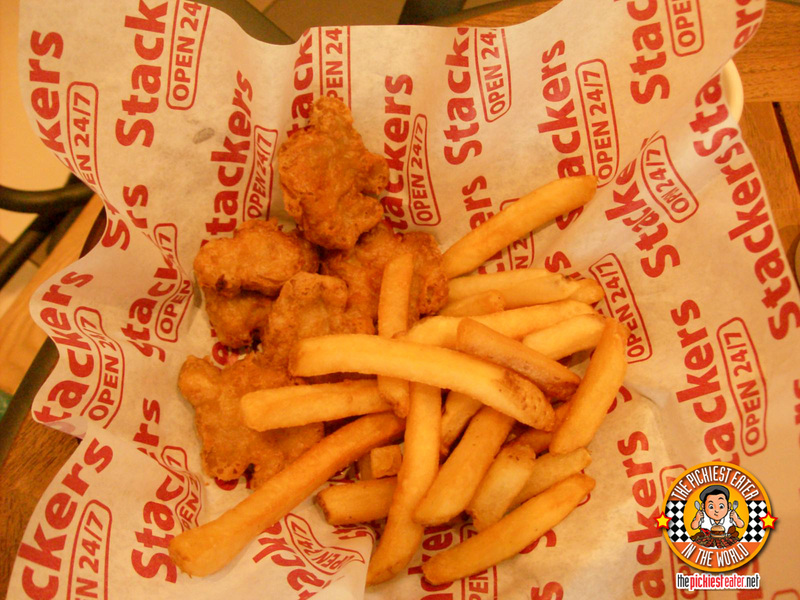 What gives Stackers a twist different from the others, is that you can choose what sauces you want to go with your burger. The sauces ranges from Pepper Steak Sauce, Stackers Special Sauce, Aussie Beef Sauce, and Tex-Mex Sauce. The Crunchy Burger. What I didn't order. Good thing we reached a compromise when we found something on the menu i could actually eat. 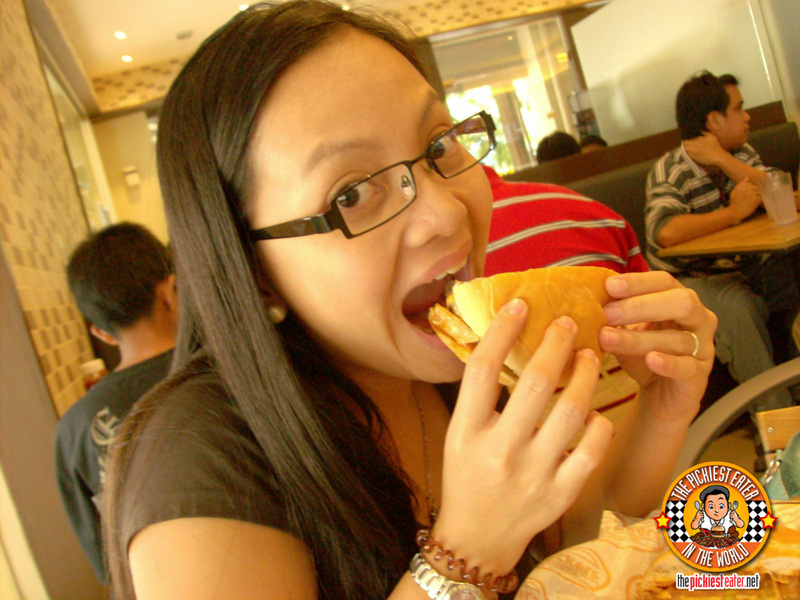 Of course, that didn't stop her from ordering her Crunchy Burger (P165), which coincidentally(?) happened to be the exact same burger i planned to order. It's basically their standard burger where they put american cheese and crunchy onion bits in it, and a little tex-mex sauce. I was torn between that and the Jack Burger, which had bacon, mushrooms and ranch dressing in it. She's so lucky she's thin. 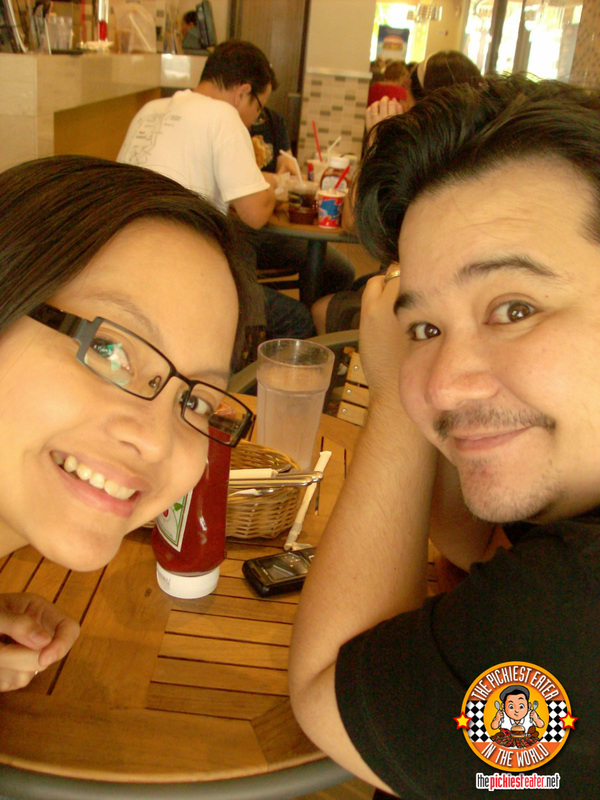 Rina and I both agreed that, though it was a nice meaty burger, The Crunchy Burger wasn't really anything ground breaking. So, being in a diet, what did I get? The Asian Burger Bowl. What i DID order. Believe it. 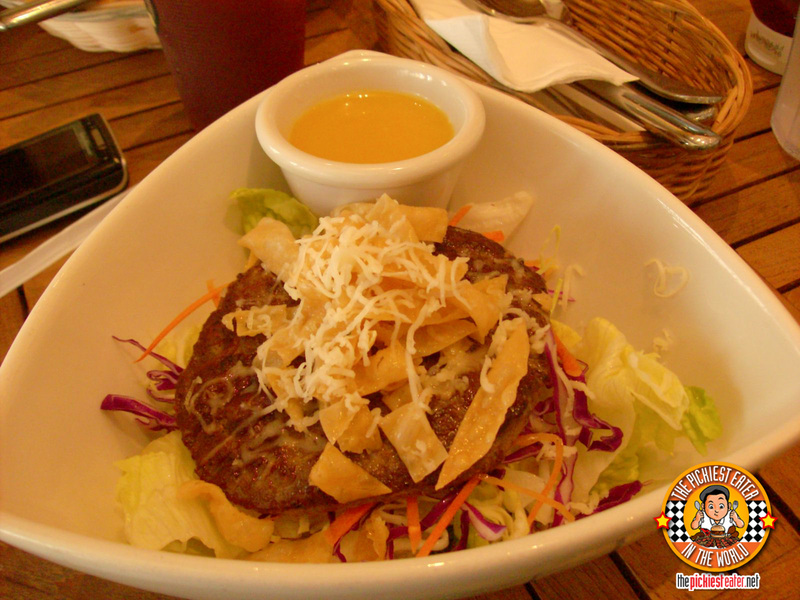 Rina ordered for me the Asian Burger Bowl (P138), since it's basically a salad with a quarter pounder burger patty on top. The salad was made of Romaine lettuce, Red Cabbage, Carrots, Chopped Nuts, and something that was supposed to be "Oriental Dressing" but seemed more like Honey Mustard Sauce. It also had deep fried wanton flakes on top. Putting on my plastic face. I didn't like it (Surprise!). Do veggies really have a weird aftertaste like that? I don't eat veggies or salads very much, so I really don't have much point of comparison. (The last time I ate a salad was a few months back, when I was again, "trying" to go on a diet. Rina and I went to KFC, and I ordered myself the Asian Salad and Rina her Two piece original recipe chicken. Seeing the lack of protein in their dish, and since Rina was far away, sitting on the table while I was the one standing in line, I ordered extra Fun Shots, and dumped it into the salad before bringing the food to the table.I hid alot under the lettuce leaves hehe) Nevertheless, this salad did have a strange taste, and not even the quarter pound burger patty could drown it out. The honey mustard sauce didn't do much to help it either. Upon seeing how miserable I was with my food, Rina generously ordered me the Chicken Nuggets (P115), which, to be honest, wasn't really anything special. (Though I do have a feeling it was for her benefit as well hehe) It was not much different from the boxed ones you get from the grocery. The french fries weren't anything outstanding either. I do want to go back to Stackers and give it another chance, because I do believe they deserve it. 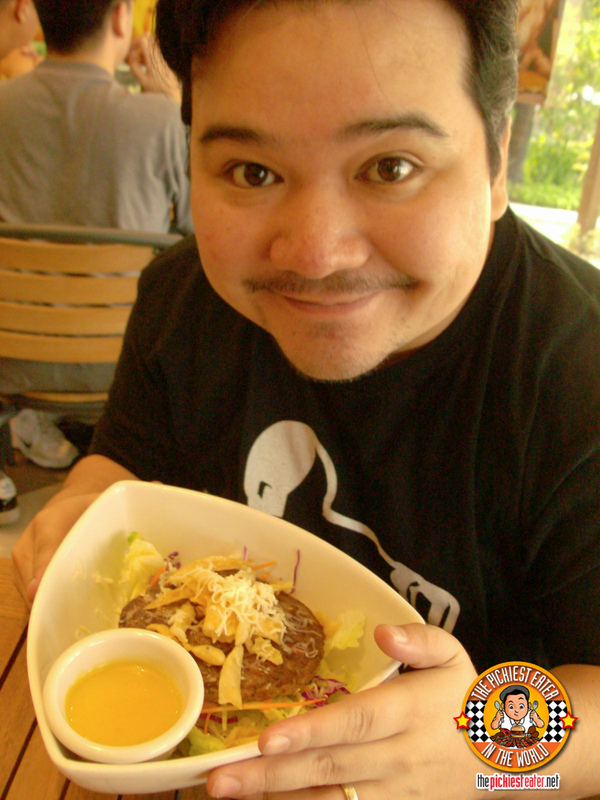 Who knows, maybe the weird after taste of the Burger Bowl (not to mention my grumpiness for having to order said Burger Bowl) dulled my taste buds and affected my judgment. 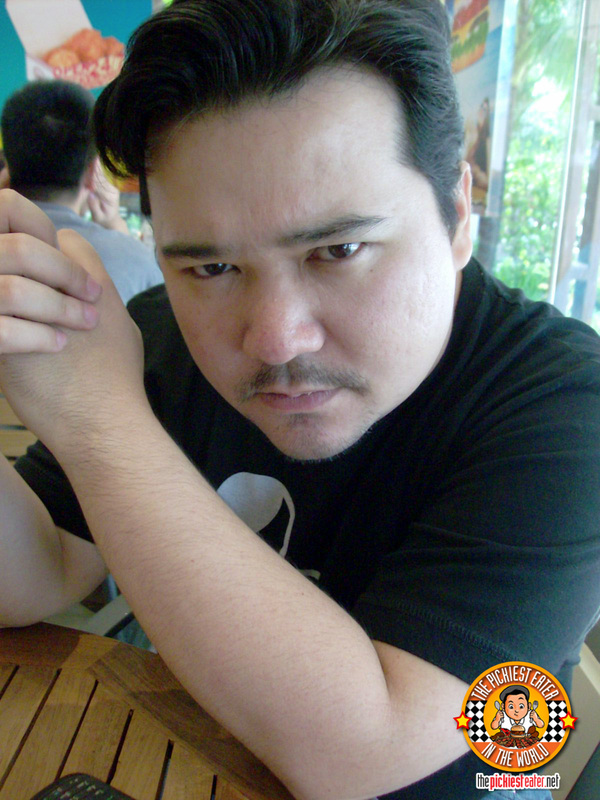 When I go back, i plan to try the Jack Burger. And maybe the chicken. And the Mozzarella Sticks. And.. aaaaanyway, too many to choose from, but the bottom line is, I hope my second experience will be better than the first. and next time don't say you're on a diet!